"He knows he's doing something special." Meet Diller — a very sweet dog who, quite generously, has taken it upon himself to make the world a tastier place for the rest of us. 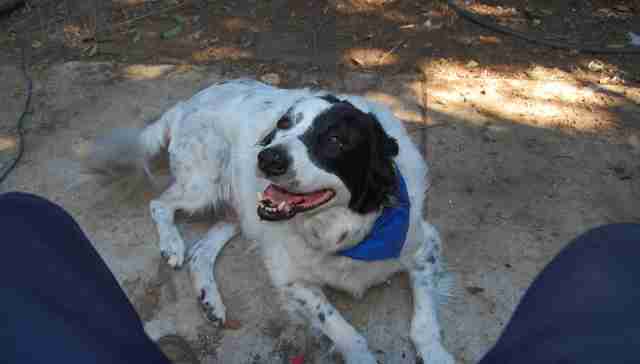 When Diller was still a puppy, part of a litter born to a pregnant rescue dog, he and his whole family moved to a horse ranch in Southern California. The large property affords Diller and his siblings plenty of room to run and play — but it came with something else. Something delicious. It didn't take long for Diller to take notice. "There were a couple of abandoned avocado trees from an old orchard a few hundred feet from our house," Diller's dad, Robert Moser, told The Dodo. "That's where it began." The "it" Moser is referring to is Diller's love affair with the trees' fleshy green fruit. The discovery was life-changing for Diller, and he just had to share. "One day I came home from work and there were two perfectly clean avocado pits sitting at the foot of my chair. They seriously looked like they had been polished," Moser said. "I was sitting there wondering, 'What the heck? 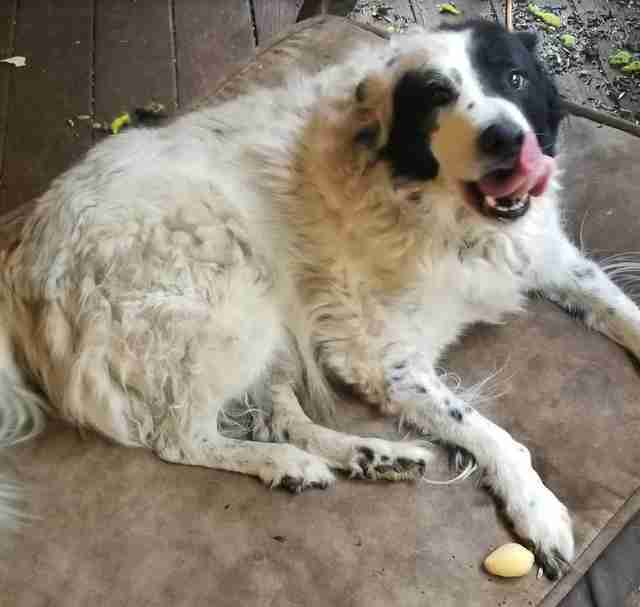 ', when Diller sauntered in with the third, gently placed it on my shoe, and wagged his tail, clearly expecting pets for being a very good boy." 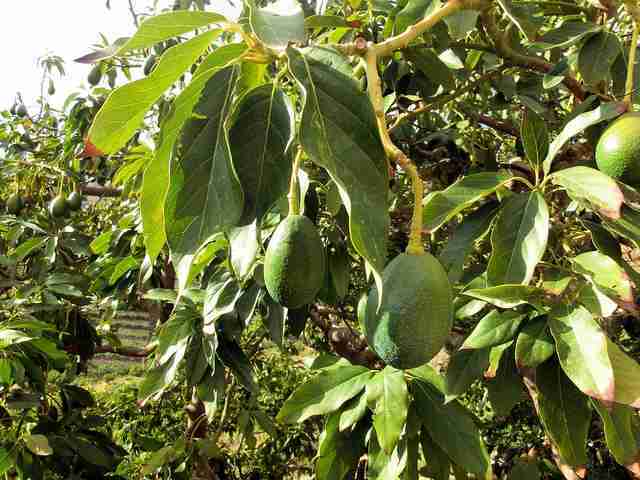 Moser had tried to grow new avocado trees from extracted pits in the past, but never with much luck. Diller's perfectly polished offerings gave his dad the inspiration to try again. "Pits that had been whacked out of the avocado with a knife were usually too scuffed up, and if you tried to grow them with the brown seed skin still on, they'd usually rot," Moser said. "With that in mind, I knew what I had to try the moment I saw the clean pits laid at my feet." 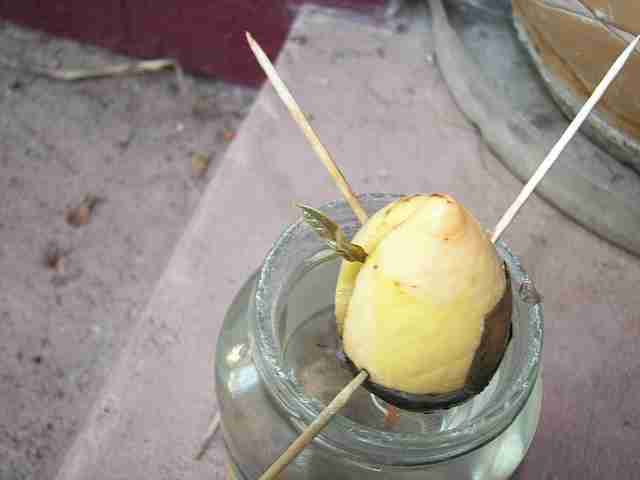 And sure enough, from Diller's pits, the world was blessed with a new batch of baby avocado trees. Diller had done good — and he knew it. 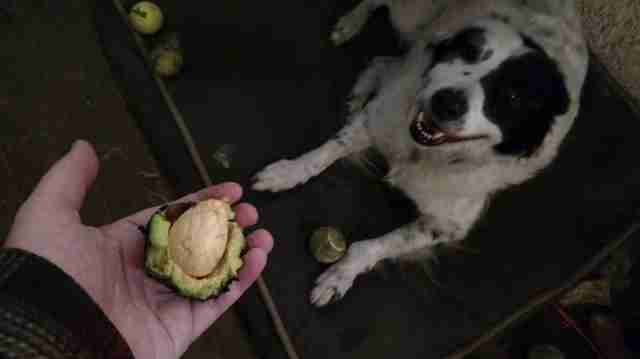 With that, the dog's work in producing more avocados began in earnest. It's a yummy job, and Diller's more than happy to do it. "He saw how excited I got when he first brought me the seeds," Moser said. "And every time he brings me another one, he gets lots of pets and praise. The seeds that he brings me almost always germinate. His special cleaning technique really does seem to make a difference, even if it is mostly motivated by a desire for a guacamole snack." Before long, Diller and Moser were growing more avocado saplings than they knew what to do with. So, they started trading them with other farmers and gifting them to family and friends. "Once people started realizing I had more seeds than normal to give away, I told them the story of how I got them, and we shared a good laugh," Moser said. "There are probably a few dozen Diller-trees throughout California nowadays." Each little avocado tree even comes with a photo of the pup with the seed it sprouted from. The dog has been at it for a while now, and the avocado goodness continues to spread. "The earliest of Diller's trees are just starting to bear fruit," Moser said. "I know the folks that have them will think of him every time they harvest. It's the sort of thought that makes you smile when it crosses your mind, you know?" "I think he knows he's doing something special." It's important to note that your pups probably shouldn't be entrusted to do what Diller does with whole avocados — but it's probably fine to let them have a slice. "As a board-certified veterinary specialist in emergency/critical care and toxicology, I get asked if avocados are poisonous to dogs or not. Don't spread the hype — avocado is not poisonous to dogs!" Dr. Justine Lee, a consultant for the ASPCA, told The Dodo. "While it is highly poisonous to certain species (e.g., birds, sheep, etc. 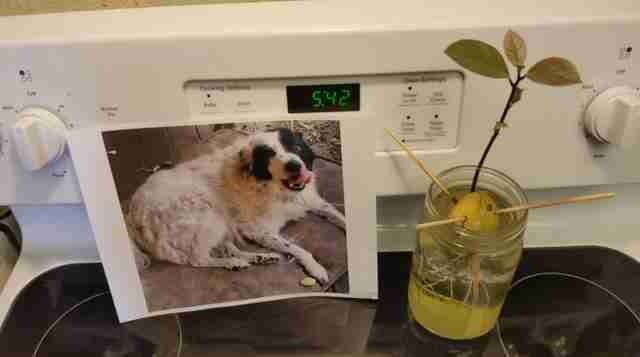 ), the persin within the avocado fruit doesn't pose a poisoning threat to dogs." The real threat to dogs from avocados is actually the pit. Those are a serious choking hazard and, if ingested, could become lodged in a dog's stomach or intestines. Thankfully, Diller has never had a problem handling pits, and his owner is aware of the danger. "I would never let a dog that I didn't know was a methodical eater have a whole avocado," Moser said. "I trust Diller because I know him. 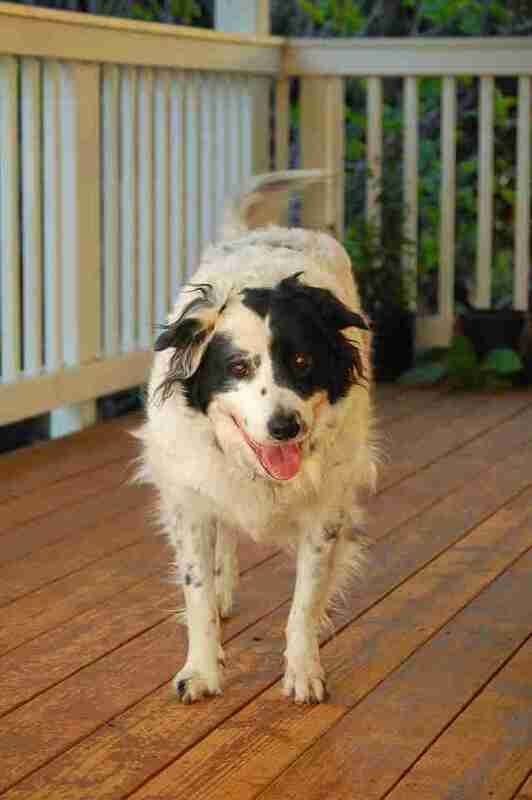 He's getting to be an old man dog nowadays, and we've never had any trouble with him even thinking about eating a pit." "No need to take the guacamole bowl away from your dog entirely," Lee said. "When in doubt, contact the ASPCA Animal Poison Control Center for lifesaving advice!"